Another Awkward Family Photo! This one is going into Renee's album. 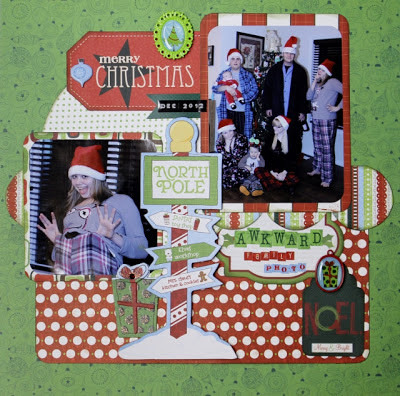 I have so many Christmas photos to do for all my albums! I love this line for these fun photos though! It's bright and cute and perfect! Love it! It started off being for the Page Maps sketch contest, but then the layout sort of took on a life of its own and doesn't really look like the sketch anymore. Oh well! Guess it won't be entered! LOL! But you know, that's what I love about sketches. You get some inspiration from them and can do your own thing. Now, for the winner from my blog.....Commentor # 17...Alison! Alison, please contact me within one week with your information and I'll get your prize out to you! The photos in this just crack me up! How funny. Great job with your project. 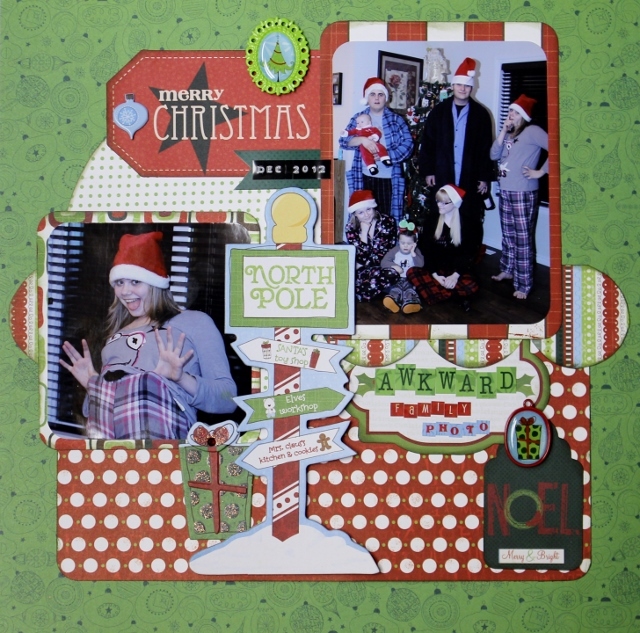 The layers and elements are so fun and I love the polka dot paper!